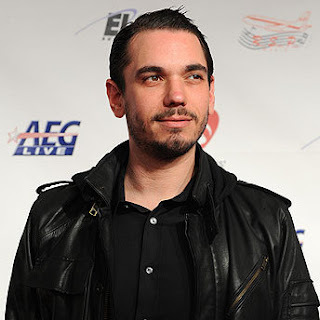 * DJ AM is seeking at least $20 million in damages from the company that booked the jet carrying himself and Blink-182’s Travis Brarker when it crashed in September 2008, TMZ reports. AM wants $10 million for medical bills and lost earnings, while the other $10 million is for physical pain and suffering. * Contrary to reports, Britney Spears “has no plans to collaborate with anyone in the near future at any of her upcoming performances,” the singer’s official site posted yesterday. Rumors began circulating after Madonna was in attendance at Brit’s show at Nassau Coliseum last week. * Elvis Presley’s sequined blue jumpsuit from his 1972 concert at Madison Square Garden, a white baby grand piano from Graceland and a pair of pants from Jailhouse Rock are among the many Presley-related items up for auction over at Gottahaverockandroll.com. * Amy Winehouse has pleaded not guilty to common assault charges after an incident that occurred last year. According to BNO’s Twitter, Winehouse will go to trial on July 23rd.